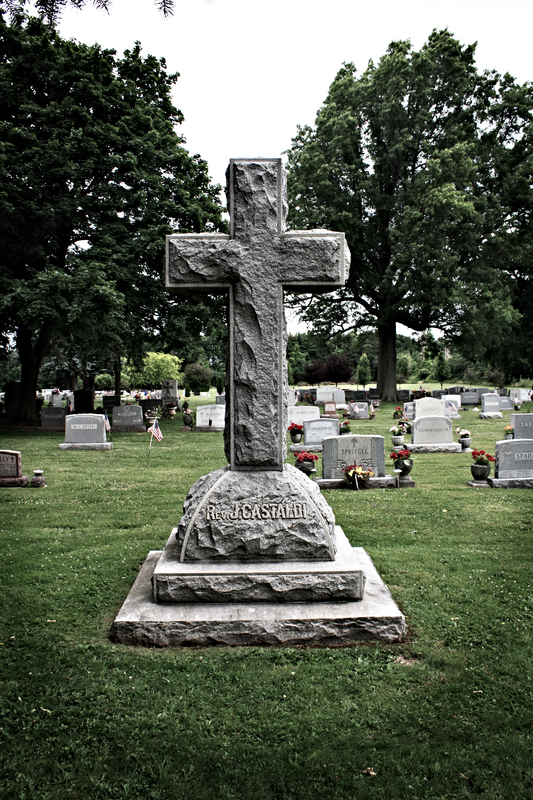 Below are images I have taken of gravestones in St. Joseph's New Cemetery. The list is fairly comprehensive in regards to those buried in Section C of St. Joseph's Cemetery and who also have headstones marking their final resting place. Son of Bernard Borkowski Sr. Son of Wojciech Kapella & Jozefa Vahoviak, hus. of Edna G.
Dau. of John Piatek & Stella Siebak, wife of Max P. Lubawy Sr. Son of James Noreck & Valeria Rice, hus. of Lorraine S.
Son of Joseph Norkowski & Rose Depczynski, Depot Brigade REC. DET. Wife of Victor Joseph Penasack Sr.
Dau. of Martin Jozwiak & Anna, wife of Stanley Rice Sr.
Dau. of Adam Lewandowski & Martha Radzinski, wife of Stanley Sledzik Sr.
Information has been obtained through gravestone readings, church records, newspapers, etc. Additions? Let me know, many people are buried in St. Joseph's Cemetery without headstones! Photographs are property of Matthew R. Ballard. If you'd like larger, better quality copies, e-mail me and I'll be happy to send them.